STS guide Tom Pearce just called me from the water to say WOW, is fishing ever good. Tom’s out sturgeon fishing with a group from Alberta and they have already landed 13 fish with 4 or 5 over 5ft and 1 over 6ft. Looking like sturgeon fishing is still good and what a beautiful day it is today. If you are looking to get out next week, we are offering our off season rates for the rest of the year. " Fill the Boat for $500 for 4 anglers fishing 6 hours"
Once again we will be offer 3 seminars for 2013, our very popular Sturgeon and jet boat seminars as well as steelhead fishing seminar, please see below for details. Come learn from the pro’s. This seminar is custom designed for the novice to advanced angler. 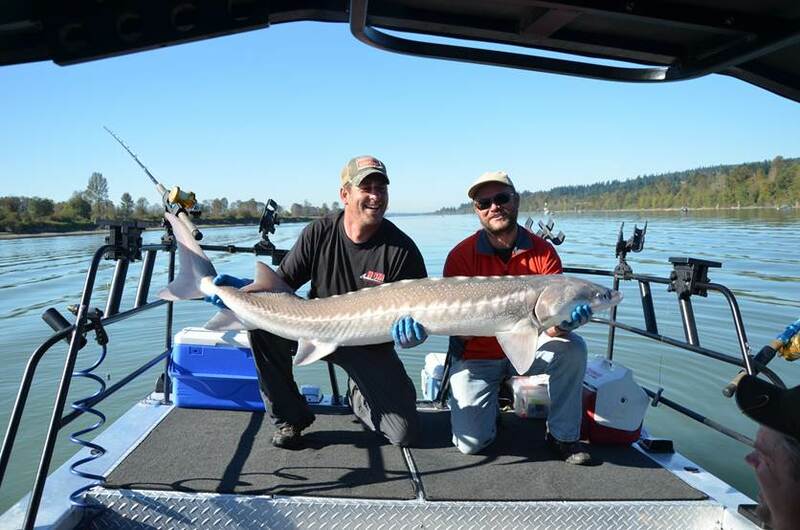 You will learn how easy it really is to catch sturgeon on the Fraser River. Come join us for a full day on the water Jet Boating the Fraser River from Mission to Hells Gate. This seminar will mainly focus on navigation between Mission and Yale with some focus on shallow water jet boating and running canyon rapids. This is a one-day clinic running in our 28ft twin engine Hells Canyon Marine Jet Boat. This course is suitable for Jet Boat owners looking to improve skills and knowledge, any boaters wanting to learn safe navigation of the Fraser River between Mission and Yale and new boaters looking to purchase their first jet boat. There are 2 dates available on a first come first serve basis. Maximum 12 people per day. Total cost is $195.00 per person, catered lunch is included.